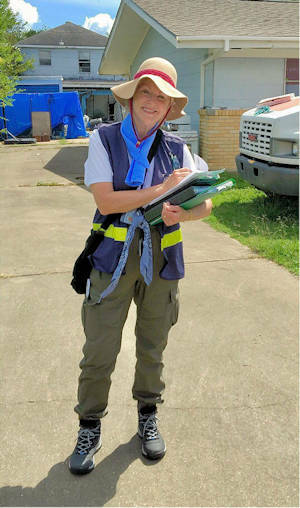 I’ve been an inspector for many FEMA disasters over the years. Last fall, after hurricane Thomas went up the eastern seaboard, I was called up to do flood inspections in North and South Carolina. Leslie and I were in Guatemala at the time and Leslie went with me to the east coast to volunteer while I did my FEMA inspections. 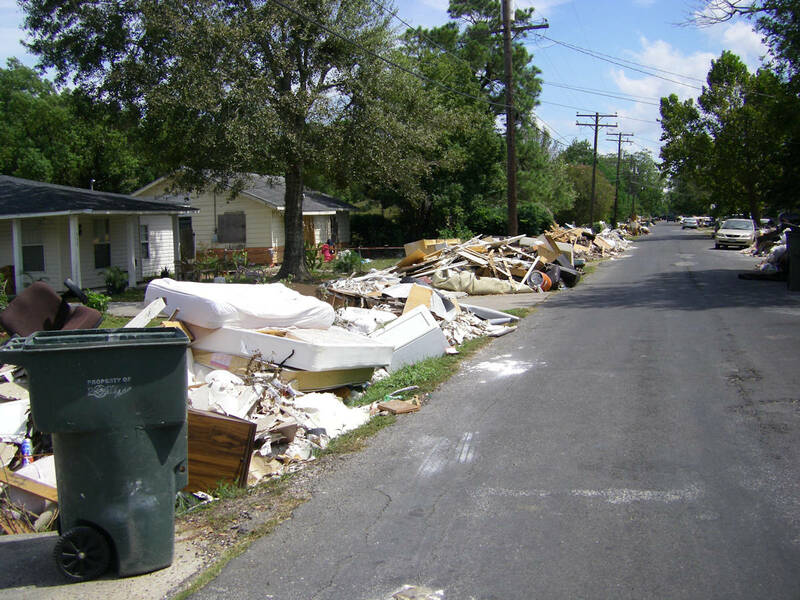 While in South Carolina Leslie found out about a FEMA outreach program called Disaster Survivor Assistance and the work it does immediately after a disaster. She thought this emergency work program would appeal to both of us so we applied and were accepted as Reservists earlier this year. 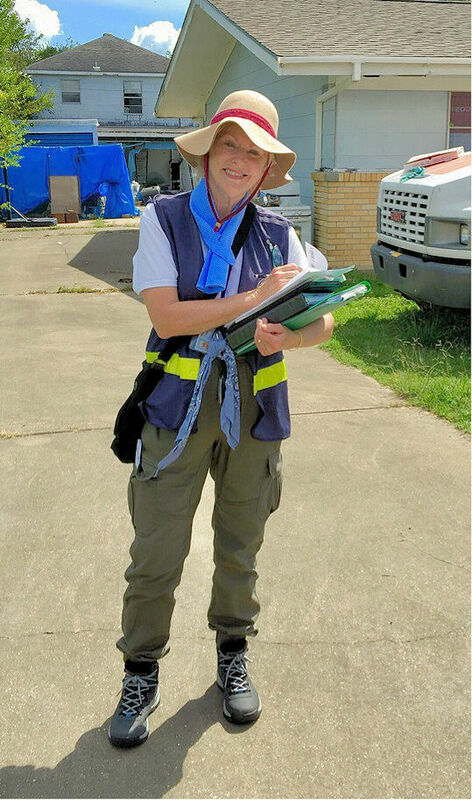 When Harvey deluged southern Texas with up to 52″ of rain over two days, we were called up and flew from Guatemala to begin our new roles as “Disaster Survivor Specialists” with Leslie working close to the Gulf in Port Arthur and Beaumont. She spent about 3 months working in Texas, while I was in Texas for only 3 weeks until I was transferred to Puerto Rico after hurricane Maria. 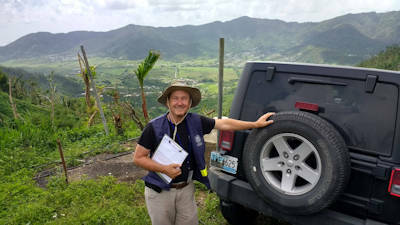 My working environment in Puerto Rico was completely different as you can see! I loved working in “las montañas” (the mountains) driving narrow lanes with great views all around! Leslie was “demobilized” from Texas just before Thanksgiving and we coordinated so that I could take a “rotation” (10 day break) to fly back to California. So on Thanksgiving day Leslie flew to SFO from Texas and I flew out from San Juan. After visiting family in California and our son Marc in Denver, Leslie flew back to our apartment in Guatemala and I flew back to work in PR.